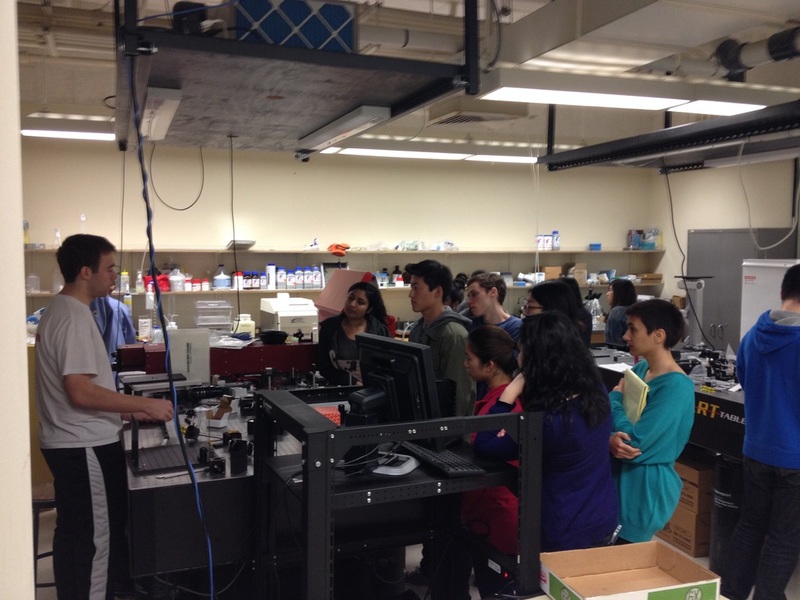 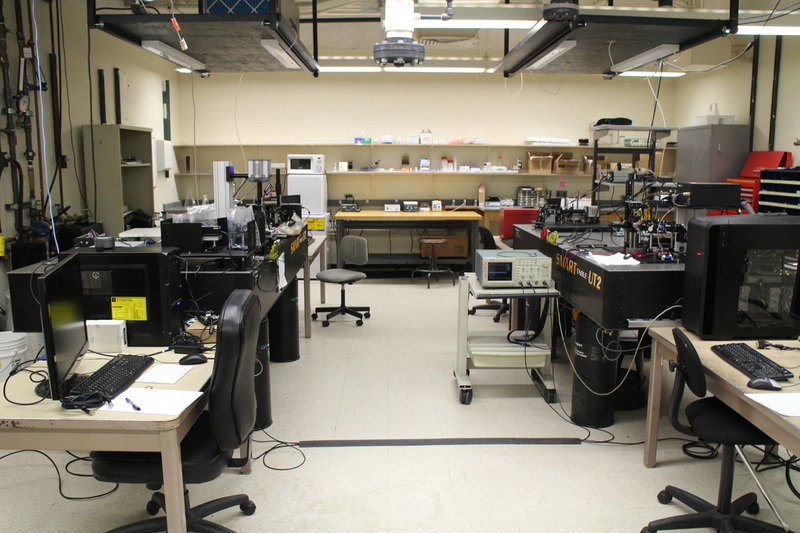 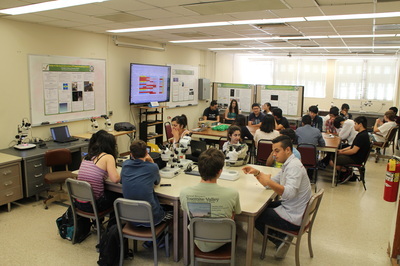 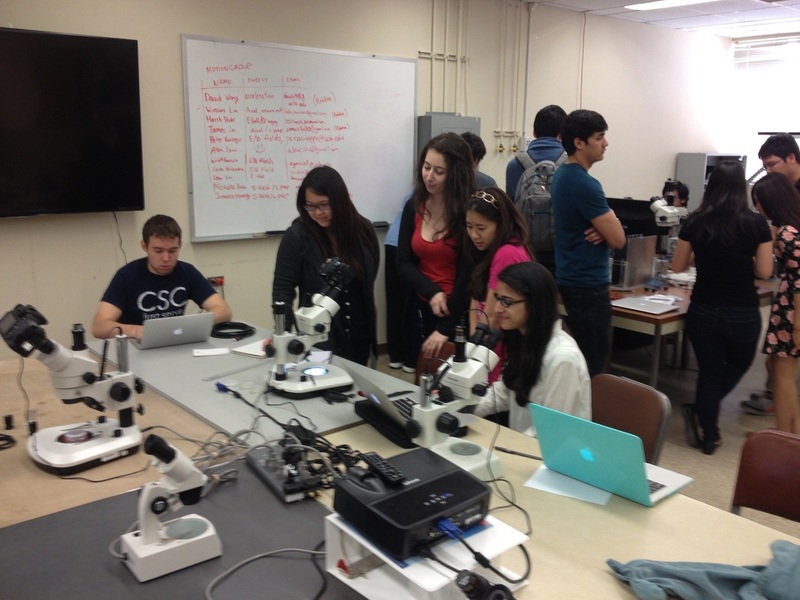 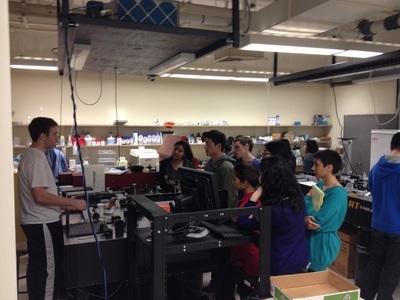 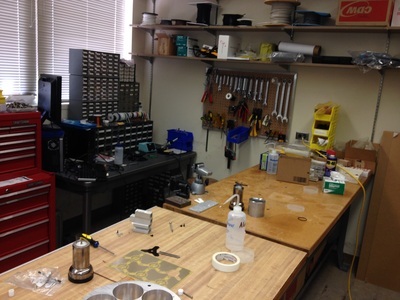 We have five laboratories at Knudsen Hall at UCLA Physics Department below. 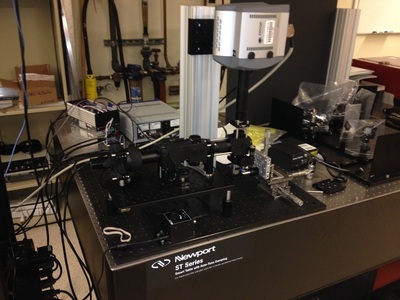 In addition, we are setting up a new user facility of OpenSPIM microscope at CNSI 2-144. This is the home of the Elegant Mind Club. 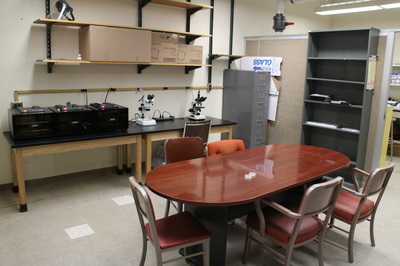 All the group meetings and discussion take places here. 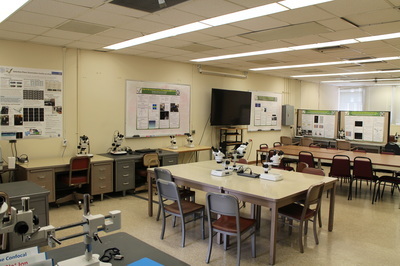 This room is also extensively used to train new students. 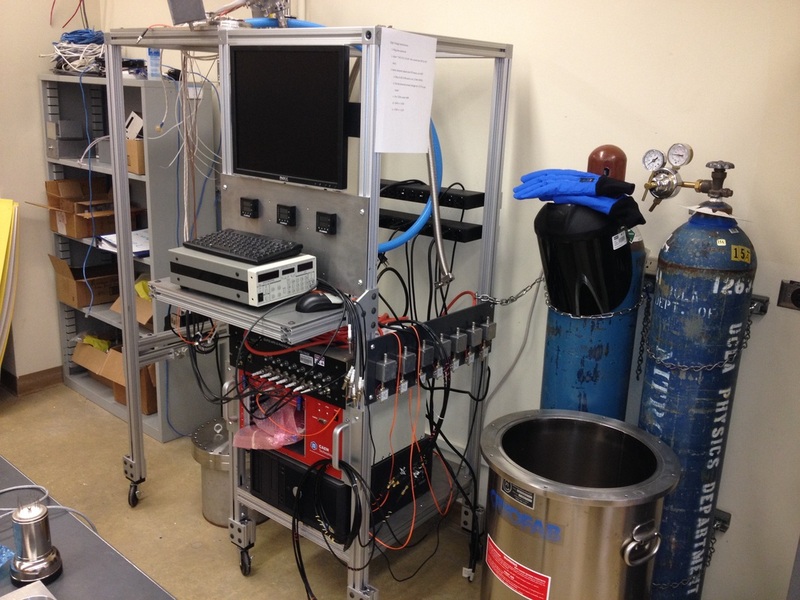 This is a small lab for biological sample preparation. 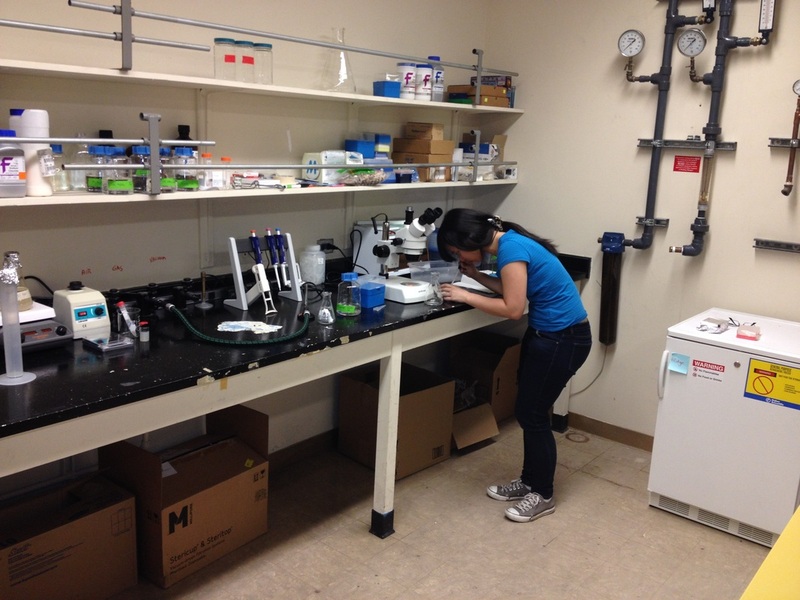 We prepare our own samples of C. elegans here for all the experiments. 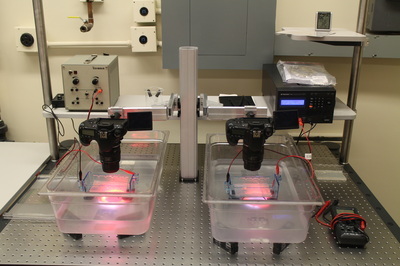 We are currently developing many new types of sample preparations, such as (1) a cuvette with freely swimming C. elegans, (2) small compartments to observe embryonic development of multiple C. elegans separately. This is a new lab for various behavior experiments. We constantly develop different types of behavior experiments from scratch, test the basics concepts by observing the motion of freely behaving C. elegans. 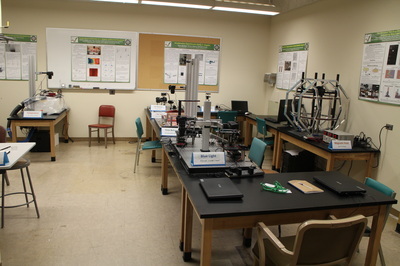 This is the lab to develop advanced microscopes. 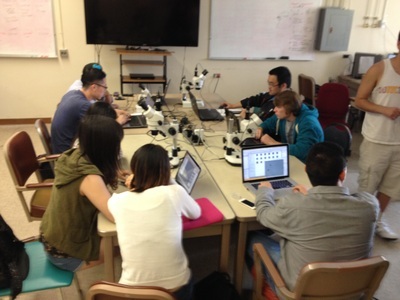 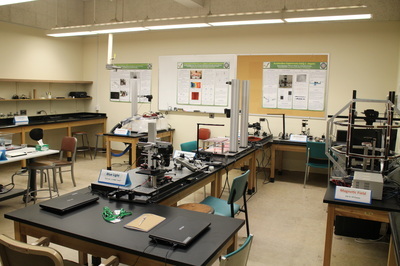 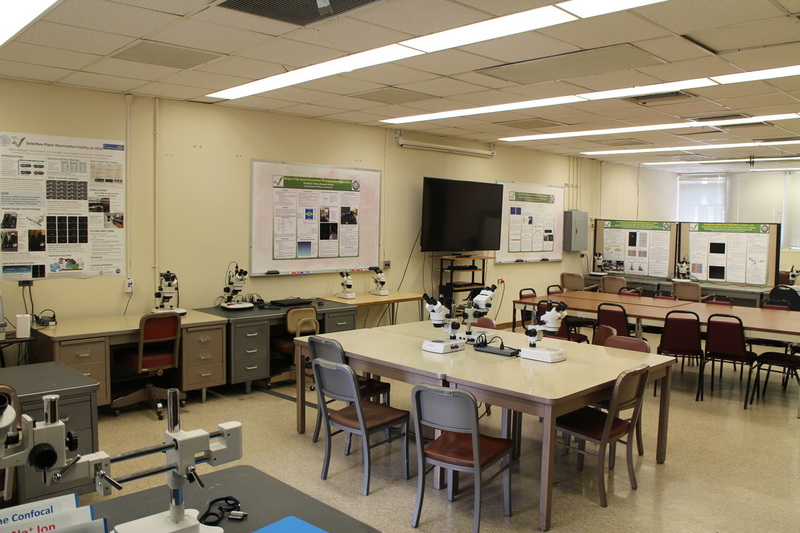 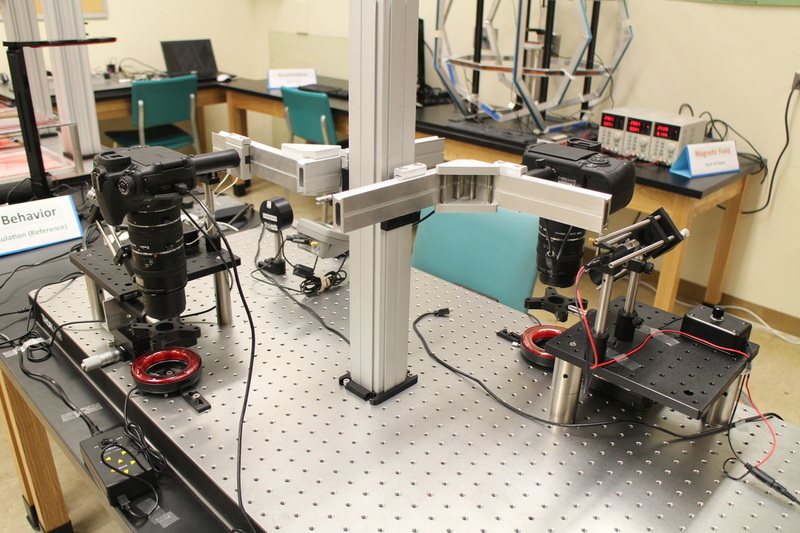 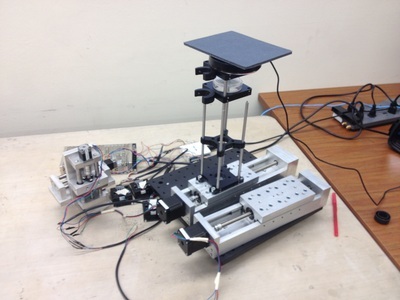 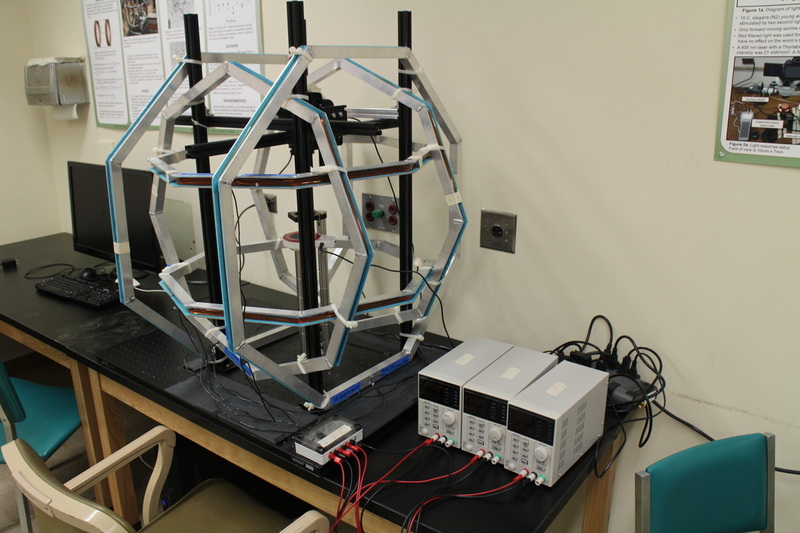 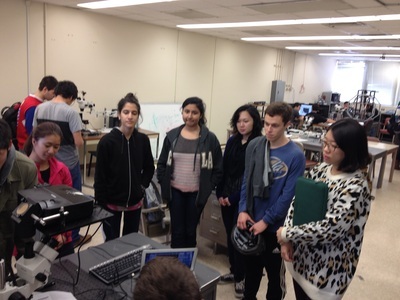 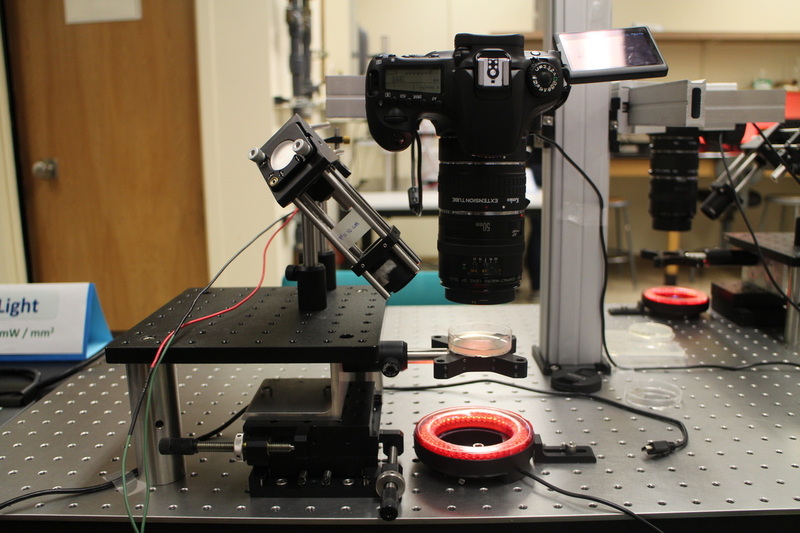 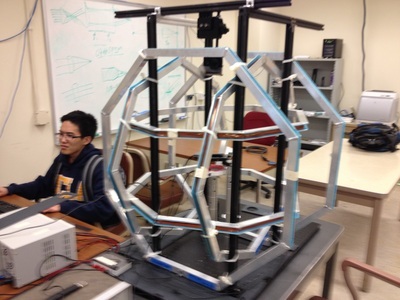 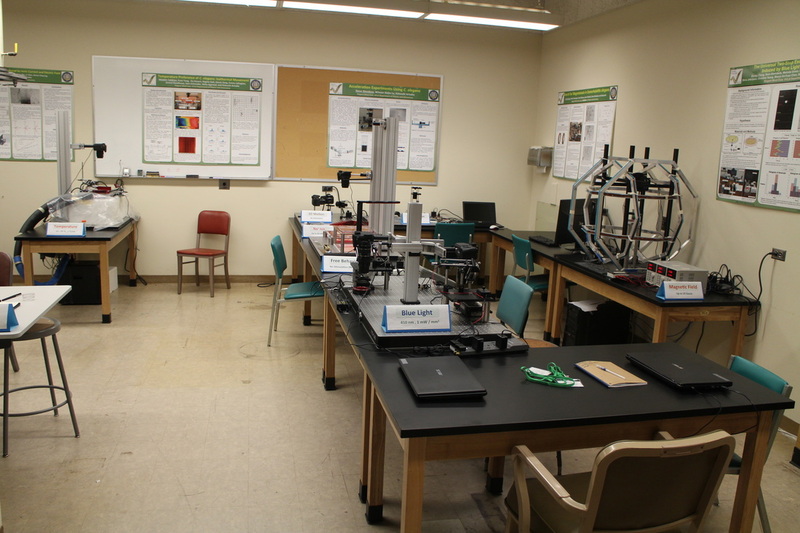 This lab has two large air-floated optical tables to test new concepts of microscopes, and construct custom-made microscopes from scratch, based on physics principles. 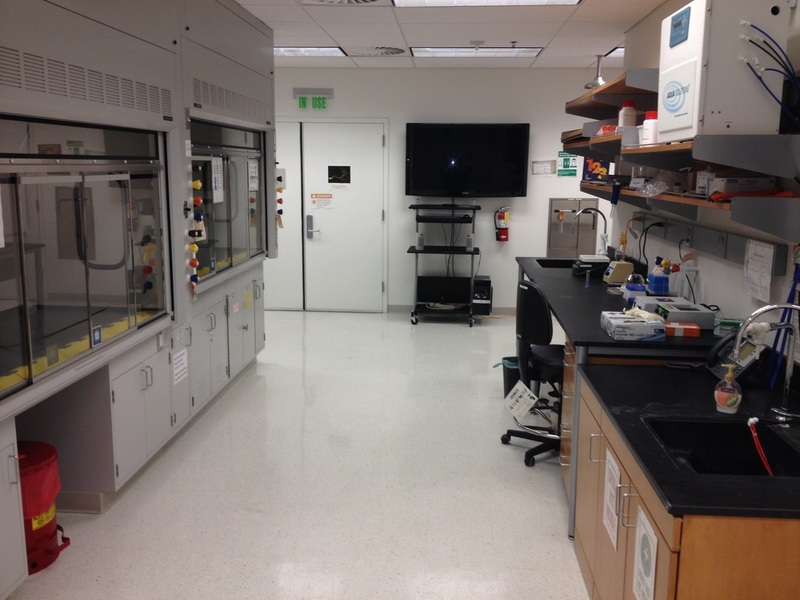 Once developed, the complete system will be installed as a user facility at CNSI (California Nano System Institute) on UCLA campus. 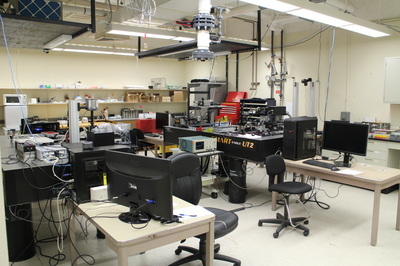 This laboratory is designed to test and develop advanced new photon detectors in general, including particle physics and bio physics. 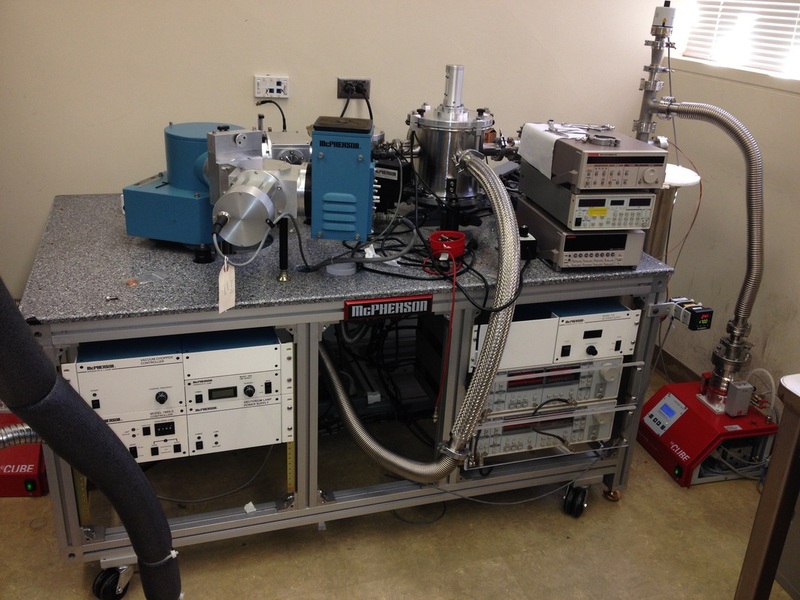 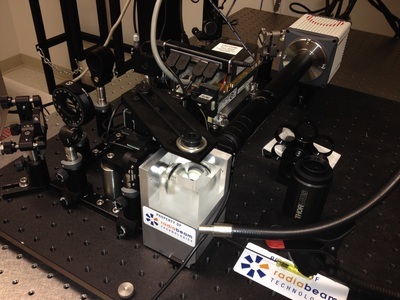 It is primarily used for photon detector development for dark matter research. 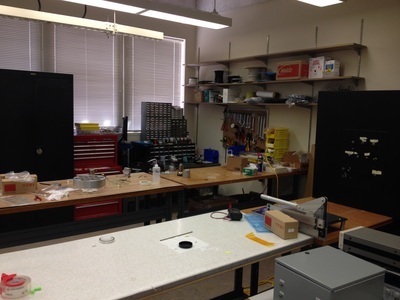 This is a user facility at CNS, under development for all the users at UCLA. 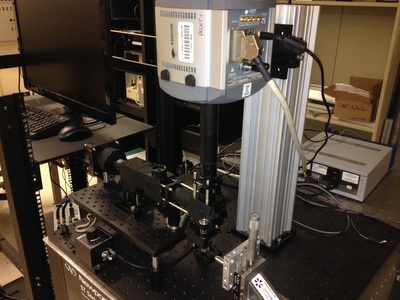 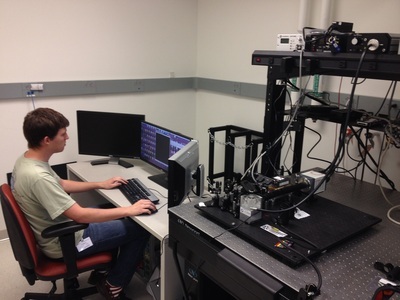 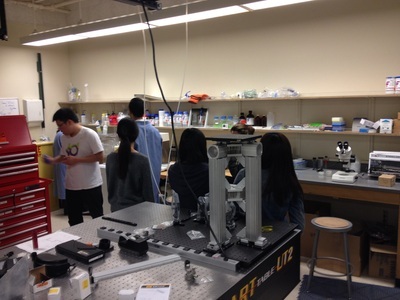 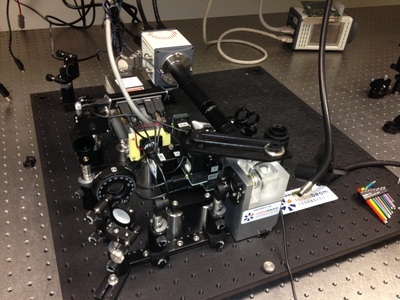 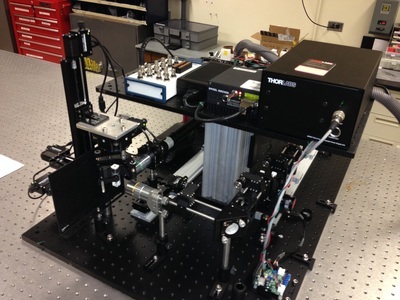 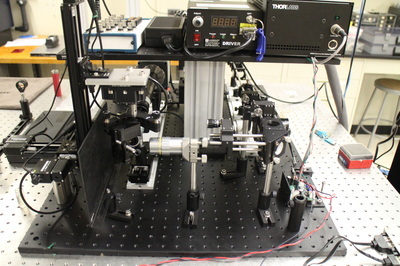 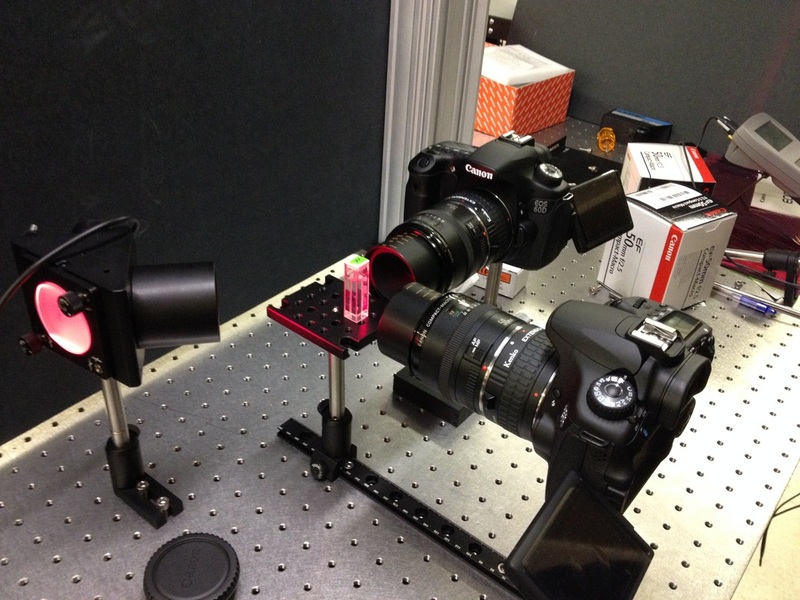 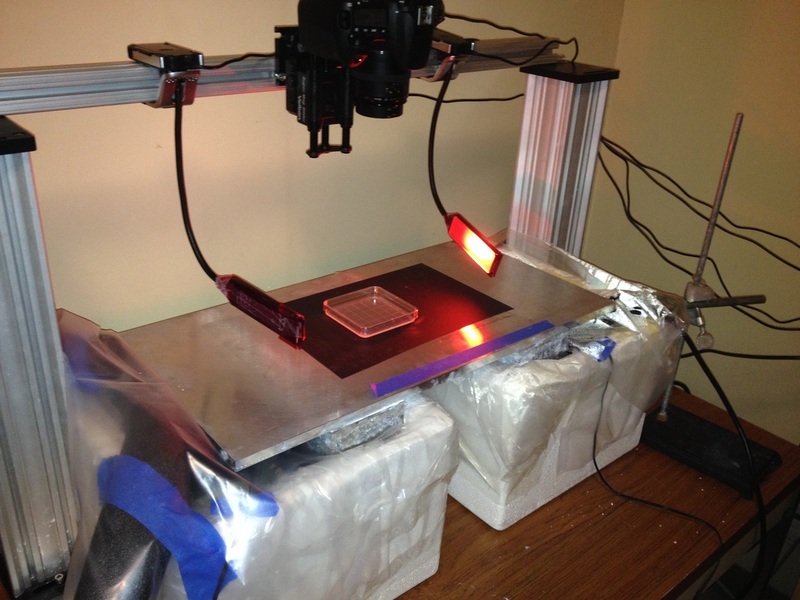 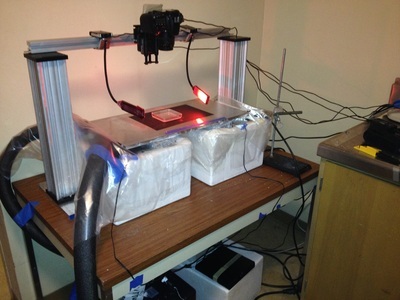 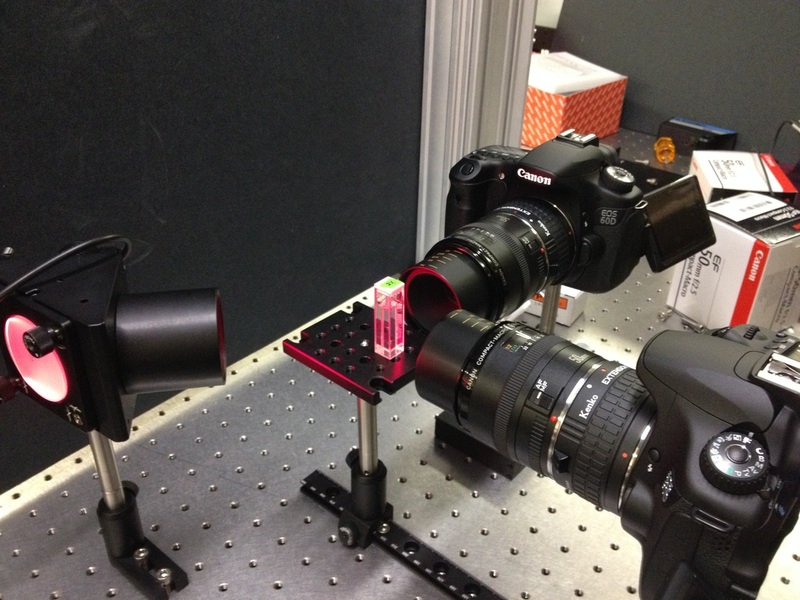 We have successfully installed the first sheet illumination microscope, developed by us in collaboration of RadiaBeam.